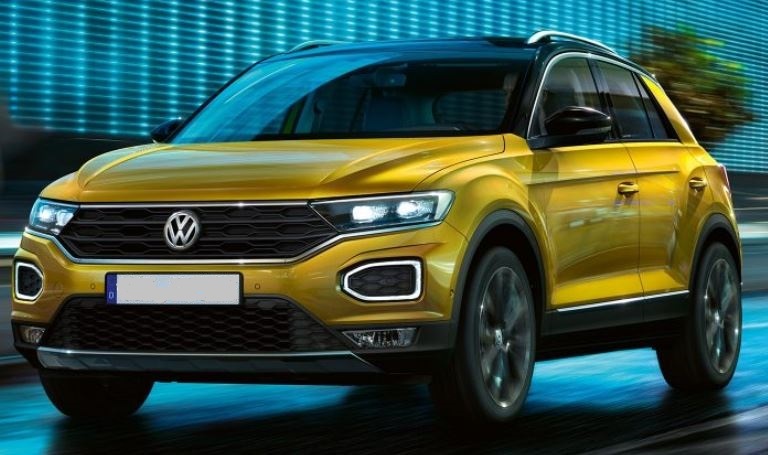 You are sure to impress with the new Volkswagen T-Roc and its expressive design, countless customisation options and high-quality finishes. The T-Roc exudes character, while its bold front design and side panels create a powerful appearance, sure to turn heads wherever you go. The T-Roc Sport trim impresses with plenty of athletic details which are guaranteed to get any car fans pulse racing. Meanwhile with the T-Roc Design you can enjoy plenty of design freedom, both for the body and the interior, allowing you to reflect your personality. Turns head when driving the T-Roc with it’s one-of-a-kind lighting design. 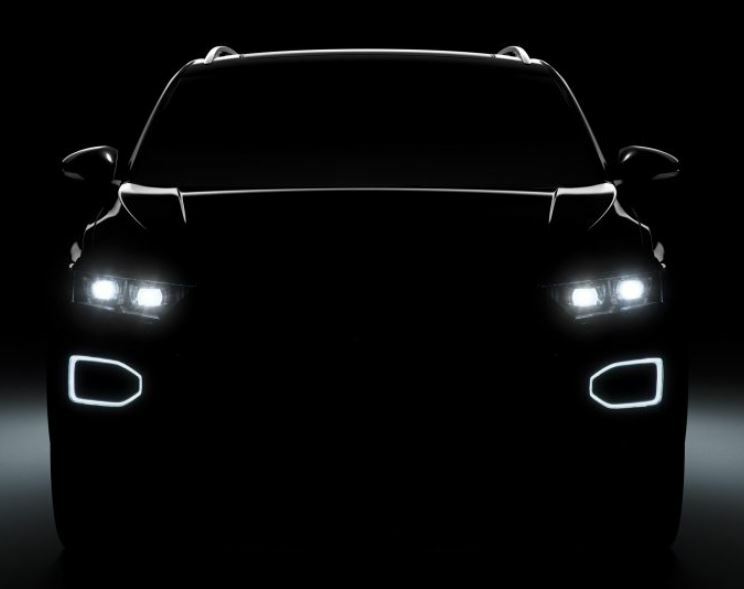 The T-Roc comes equipped with standard daytime driving lights that sit boldly in the front bumper. And because the turn signals are built into the daytime driving lights, they catch the eye when it’s time to turn or change lane. Comfortable and spacious, the T-Roc offers you plenty of space to bring your personality to life. Forward-thinking design elements add to this overall impression along with the countless customisation options. 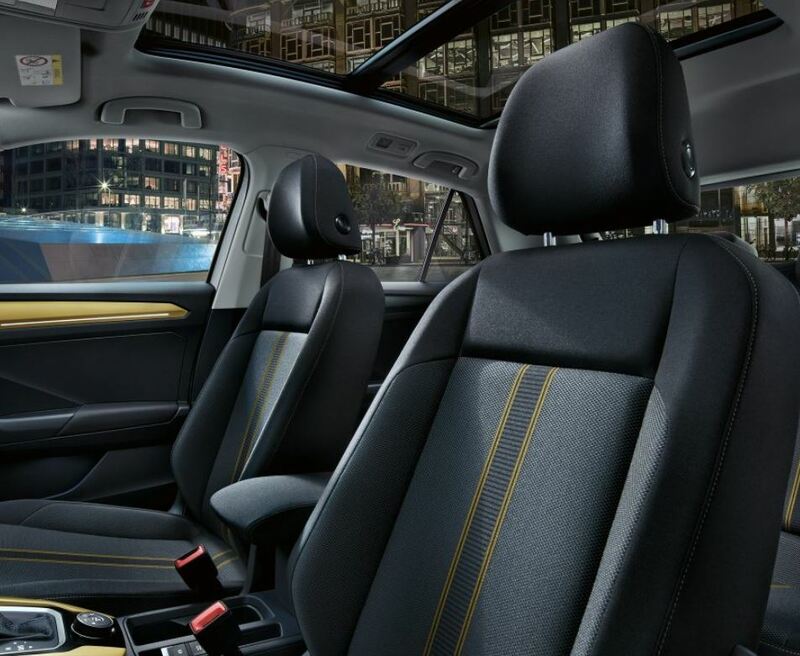 The interior of the T-Roc Design lets you express your personal taste. Decide for yourself which colour you want for the dash board, this colour will also be found on the side decorative trim and the trim in the centre console. It doesn’t comprise design for quality though, with comfortable seats (with optional leather trim and coloured accents) as well as a panoramic sliding roof. For your convenience, the cockpit has been designed with the driver in mind, and you’ll quickly be able to find your way around all the instruments. If you wish, you can opt to go for the Active Information Display instead of the traditional round instruments. This high-resolution coloured screen shows you more than just the speedometer. For example, various information profiles provide you with information about your journey, or, in conjunction with your navigation system, you can conveniently display a large version of the map directly in front of you. Optional wireless charging for your smartphone. The TSI petrol engines impress with their power and efficiency and you will benefit from maximum torque even at low engine speeds. The TDI diesl engines are economic with turbocharging and direct fuel injection using common rail technology. They are also particularly quiet running, while their high torque means sporty handling is guaranteed. 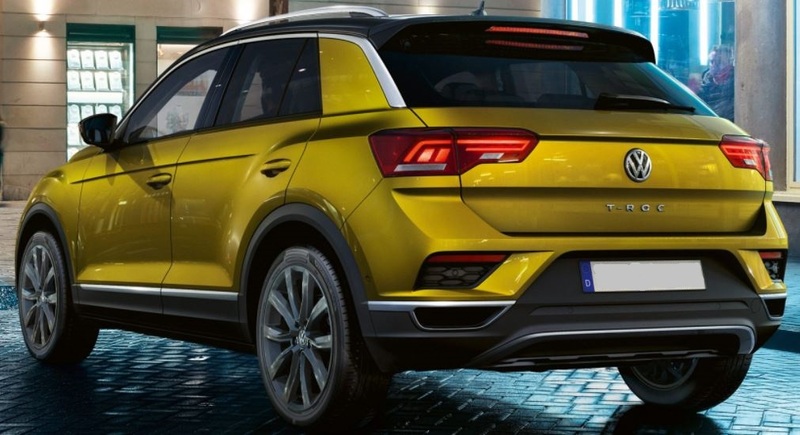 The T-Roc is also available in the optional 4MOTION all-wheel drive.